The latest product information, exhibitions and company news. -30 to +85 °C with convection cooling. It can meet EN55032 Class A EMI radiation standard without adding extra component, 3-year long-term warranty, etc. It fits for use in information communication, networking equipment, industrial automation, telecom equipment and distributed power architecture and other related applications. With a view to continuously enhancing the completeness of MEAN WELL DC/DC converter product line. 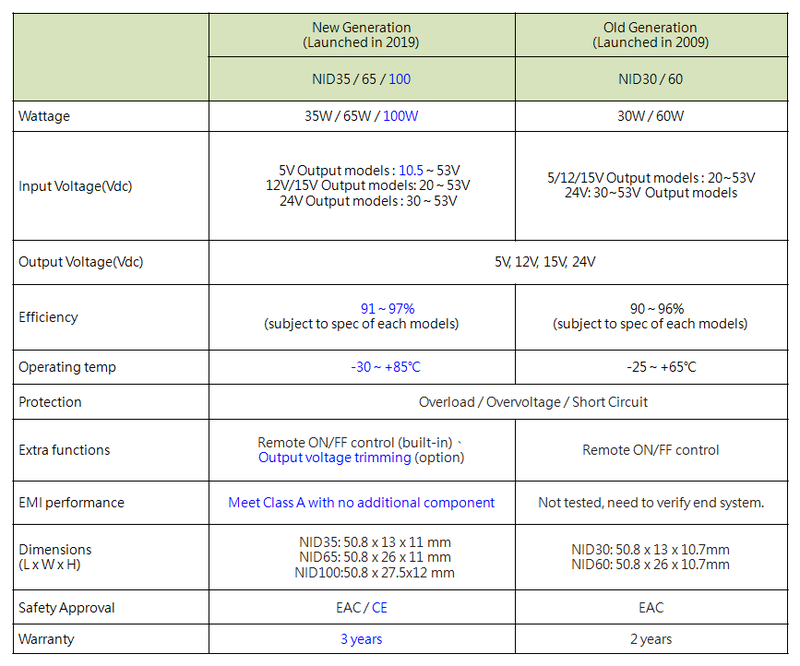 After having launched the SFTN/DETN01 series (1W )unregulated low price DC/DC converter, MEAN WELL now phases in 2W models of single output SFTN02 and the dual output DETN02 series.